Skirt i recykled polyester . 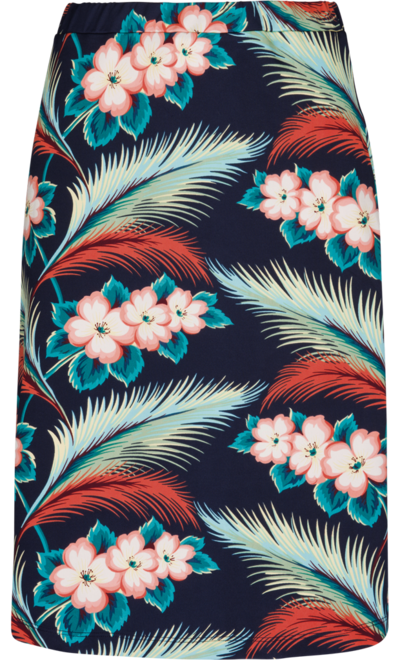 Marvelous print with 1950th influence and Hawaii feeling. Under the knee length. Medium is 60 cm long.